The challenge for a houseplant gardener is the shady location, that dark corner away from windows streaming bright light. Although the Sanseveria plant, also called mother-in-law tongue, is famous for growing well in low light, there are more tropical houseplants for indoor shade. This short list includes a fern, some sturdy tropicals with large green leaves and dramatic tall plants that will add structure to the indoor garden. The maidenhair fern is lovely for moist environments because small beads of water will cling to the fine texture of its leaves, an excellent garden image for a bathroom or kitchen setting. 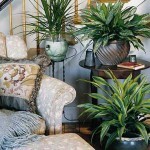 But it is the tolerance for low light that is most valuable for houseplant gardeners. An upright fern with intricate fronds that present an air of wispiness in the extreme easily describes the Adiantum genus of fern. The plant will grow about 2’ tall and wide. Depending on the species, new fronds will emerge in red or white, some with black or dark purple stems. The maidenhair fern has rhizomous and fibrous roots. This fern can grow well near a window with unbroken north light or an east light with a sheer curtain covering. Gardeners should use a rich indoor potting soil containing peat moss or pine bark mulch, use fertilizer at ¼ strength and insecticidal soap to keep scale insects in check. Maidenhair ferns make excellent terrarium plants because they love high humidity. However, there are species grown outside too, in northern and southern gardens. If you want to organize nice lightning in your house, you can get help from Northern Lights Exteriors. The Chinese evergreen, Aglaonema modestum, is a shiny green species with leathery leaves. All Chinese evergreens are sturdy plants but other species have patterns and colors. Aglaonema modestum grows to 24” tall, the leaves are coarse and the plant is tough, tolerant and easy to grow. Aglaonema modestum will grow well in low to medium light. However, it does not like drafty locations such as near a leaky window in winter. Plants can grow in a general houseplant potting mix; fertilize using a ½ strength solution. Plant care is as easy as clearing away faded leaves to keep it looking well. Chinese evergreen plants do remind indoor gardeners of the tropical plant, Dieffenbachia, and some Chinese evergreen species and cultivars do look similar. But Dieffenbachia requires more than low light to maintain a healthy condition. There are a lot of elephant ear plants grown by gardeners outside. But the Alocasia xamazonica ‘Polly’ is one cultivar worth growing indoors and it tolerates the low light of a home’s interior. The deep green foliage stands out for the white veining that light up the darkest room. This elephant ear houseplant stays relatively short at 24” tall and takes less space, 12” wide. Alocasia xamazonica ‘Polly’ benefits from a humusy potting soil containing fir bark or osmunda fibers but it only rarely requires potting on. It likes moist soil but when the plant goes dormant, usually in winter, allow the soil to dry out. In addition to Alocasia, Colocasia and Xanthosoma are also elephant ear plant genus. Depending on the species, they can get gigantic or require more sun exposure; indoor gardeners will consider these requirements when choosing a variety for a houseplant. The peace lily, Spathiplyllum, is a traditional shady houseplant often used in Victorian homes where heavy drapes were common. But indoor gardeners, who want the white flowers, will need to provide bright indirect light for success. It is the green oblong leathery leaves that will grow well in low light. The peace lily plant will also benefit from a dusting with a damp cloth, repotting better done in spring, ½ strength liquid fertilizer and a richer-than-average indoor potting soil. Dracaena cane plants are most known for the corn houseplant with its wide arching yellow and green leaves. Dracaena deremensis ‘Janet Craig’ is tall with long strapping leaves as well, but they are shiny green and will grow well, even in low light. All Dracaena will grow in a general indoor houseplant mix and tolerates cool temperatures. Dracaena deremensis ‘Janet Craig’ is part of the well-publicized list of air purifying plants reported to remove harmful particles from indoor home and office spaces. Although many general tropical genus listed have demonstrated positive impacts, the cultivar Dracaena deremensis ‘Janet Craig’ is specifically and routinely included for this purpose. The simplest test for determining light level, where a plant may sit indoors, is to use a sheet of paper. Rest the paper where the plant is to be placed then set your hand approximately 12” above the paper. In low light, an outline of a shadow will be hardly noticeable or very faded. Indoor gardeners will learn from experience where locations with low light exist in their home but it is helpful to know some basics. Low light is generally eight or more feet from a brightly shining window, a window heavily curtained or shade drawn most of the day or a light lace curtain covering a north-facing window (might be shutters too, check the resource). Of all the tropical houseplants appropriate for dark spaces at home, indoor gardeners will have the most success choosing green-leaved species or cultivars of a particular genus. Houseplants with a variegated variety such as Swedish ivy, pothos or spider plant will develop less of the cream coloring if optimal light is not available. 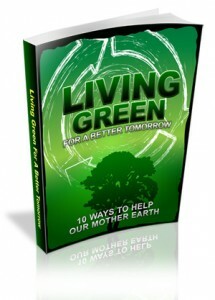 Of these, green-leaved varieties are available and will give indoor gardeners a good reliable outcome. Not mentioned on this list is Philodendron; it is a popular, sometimes overused, low light houseplant. But the trailing parlor ivy and pothos have a place, especially as vertical hanging plants in an indoor garden.